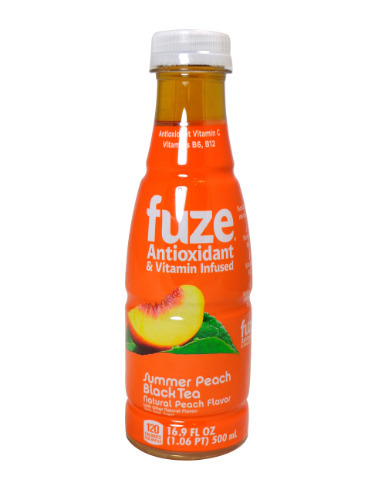 FRESH 16.9oz bottles of Fuze Summer Peach Black Tea Antioxidant & Vitamin Infused beverage. Soak in the laid back vibes of this sunny peach paradise as mouth-watering rays of sweetness soothe your taste buds. This refreshing Summer Peach Flavored Black Tea is Antioxidant Vitamin C, Vitamin B6 and B12 infused. Every delicious sip is a bright utopia on the isles of Fuze.